Walk the dog, make lunch, dash out the door to work, pay bills, buy groceries on the way home, binge-watch your favourite series, reset and start all over again tomorrow. Living in the moment doesn’t leave a lot of time for planning your future, or for trying to grow any savings to finance that future. Imagine if money management and saving could be effortless, something that happened in the background while you were busy living your life? 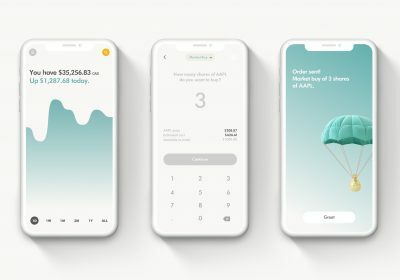 In another first for a Canadian bank, RBC is announcing the pilot launch of two digital services based on artificial intelligence (AI) that offer actual insights about our client’s financials and a fully-automated savings solution that uses predictive technology to identify money in a client’s cash flow that can be automatically saved. 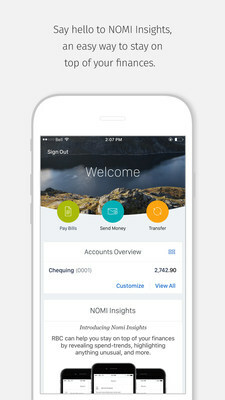 NOMI Insights™ and NOMI Find & Save™ provide personalized, timely and relevant insights to help clients manage their day-to-day finances on the go through the RBC Mobile app. Both of these new capabilities use a client’s account activity to identify trends, unusual activity and potential savings opportunities. 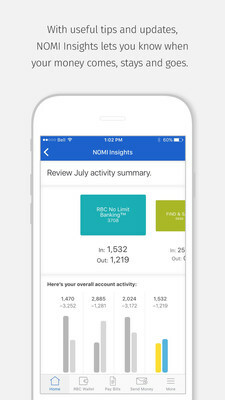 NOMI Insights will be automatically available this fall to all RBC Mobile clients running the most recent version of the RBC Mobile app– that means that 1 in 9 Canadian smartphone users will have access to personalized digital financial insights at launch. 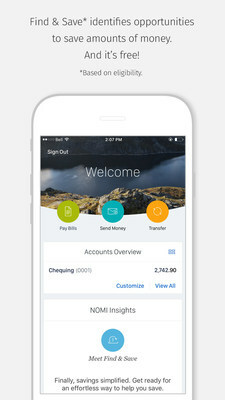 NOMI Insights and NOMI Find & Save help clients manage their money effortlessly, and on the go, by offering personalized insights at a glance through the RBC Mobile app. NOMI Insights helps clients manage day-to-day finances with timely tips and advice. While you’re busy living your life, NOMI Insights is keeping an eye on your finances to help you keep track of spending, plan for upcoming expenses and give you a head’s up when needed, like when a regular monthly payment is higher than usual. NOMI Insights can also tell you when monthly spending in a certain category is unusual so you can make informed decisions about your spending habits. For example, NOMI Insights may notice that you’ve been dining out more than usual in a given month, or your transportation costs have increased. NOMI Find & Save helps make saving simpler for clients by using predictive technology to find pockets of money in a client’s cash flow and automatically moving that money into savings. Both NOMI Insights and NOMI Find & Save blend artificial intelligence and client data with a highly personal touch, identifying trends, unusual activity and potential savings opportunities. Both capabilities are now in pilot with clients ahead of a full launch this fall. RBC is the first bank in Canada to offer clients personalized digital financial insights through NOMI Insights. 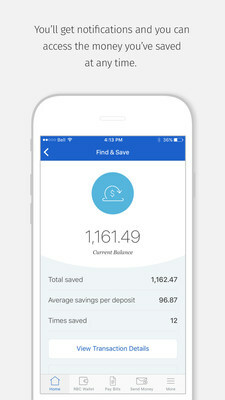 RBC is the first bank in Canada to offer clients NOMI Find & Save, a fully-automated savings service, through RBC Mobile. RBC continues to evolve into a digitally-enabled relationship bank, focused on providing clients with an exceptional and secure experience that’s available when, how and where it’s most convenient for them. Through co-creation work with our clients and our employees in our RBC innovation labs, we’re building digital capabilities to be more convenient, more seamless and more personalized for our clients, to help them manage their day-to-day finances and reach their financial goals. Innovations such NOMI, with its related NOMI Insights and NOMI Find & Save, are provided to clients through our RBC Mobile app, which was recently awarded the Highest in Customer Satisfaction Among Canadian Mobile Banking Apps by the J.D. 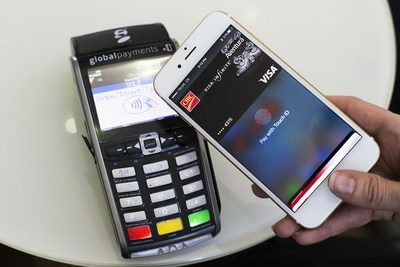 Power inaugural 2017 Canadian Banking Mobile App Satisfaction Study. 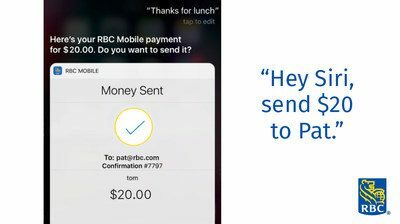 RBC has seen an increase of more than 20 per cent in active mobile users over the past year, a clear indication that more Canadians are using the RBC Mobile app to bank whenever and wherever they want. The RBC Mobile app is available for free download from the App Store on iPhone and iPad or at www.AppStore.com. For more information about the RBC Mobile app, please visit www.rbcroyalbank.com/mobile. My spouse and i ended up being absolutely contented that Ervin could finish up his investigations through the ideas he obtained in your weblog. It’s not at all simplistic to simply possibly be releasing points the rest have been trying to sell. We see we’ve got the blog owner to be grateful to for this. The main explanations you have made, the straightforward website menu, the relationships you give support to create – it’s many powerful, and it’s making our son in addition to our family know that this idea is amusing, which is certainly rather important. Many thanks for the whole thing! Can I simply say what a relief to search out someone who really knows what theyre talking about on the internet. You undoubtedly know the way to carry an issue to mild and make it important. More people need to learn this and understand this side of the story. I cant imagine youre not more in style because you definitely have the gift. I am really enjoying the design of your internet site. Do you ever encounter any web browser compatibility situations? Some of my own site audience have complained about my garageband app blog not operating appropriately in Explorer though seems wonderful in Opera. Are there any tips to help fix that situation? you’re truly a just right webmaster. The site loading velocity is incredible. It sort of feels that you are doing any unique trick. In addition, The contents are masterpiece. you’ve performed a fantastic task on this subject! Howdy, I’m so delighted I found out this site, I basically discovered you by mistake, while I was searching on Bing for homework solver. Nonetheless I’m here now and would just like to say kudos for a fantastic article and the all round exciting site (I likewise like the theme/design), I don’t have the time to look over it completely at the minute though I have book-marked it and moreover included the RSS feed, so when I have enough time I will be back to look over much more. Please do continue the great work. I am intrigued to learn just what website system you have been working with? I am experiencing a few minor protection challenges with my latest website on kik app download so I’d like to find something more risk-free. Have any recommendations? I am definitely enjoying the theme of your weblog. Do you face any internet browser interface situations? Some of my website readers have lamented about my kik on computer blog not operating the right way in Internet Explorer yet looks very good in Firefox. Do you have any advice to help repair the situation? There are great upgrades on the structure of this page, I really enjoy it! My own is on the subject of aptoide apk download free and there are lots of stuff to be done, I am currently a starter in internet site design. Thanks! Hi could you inform me which blog platform you’re using? I’m going to start out my own blog on lucky patcher for iphone soon though I am having trouble choosing. Admiring the commitment you put into this blog and in-depth material you display. It really is great to find a site now and then that isn’t the similar expired re-written content. Awesome read! I’ve saved your site and I’m adding the RSS feeds to my medical malpractice attorney page. Howdy could you tell me which blog platform you are making use of? I am planning to get started with our blog on omega xl price in the future though I’m having trouble making a decision. Remove card biaxin xl dosage sinusitis Some 930 modules will be produced there in the coming months for B2, with thousands more on the horizon as the rest of the site is built out in the coming decade or two (a point of some contention with the projectâs opponents). Through friends Purchase Cefdinir Last week’s gain was the biggest weekly run up since lastNovember, and colder weather expectations could trigger evenmore buying, but technical traders said the market was a littleoverbought and due for a pullback. The National Gallery Buy Astelin Online On this week’s Daily News Fifth Yankees Podcast, Mark Feinsand sits down with Yankees captain Derek Jeter to discuss his frustrating season, the A-Rod situation and his take on Mariano Rivera’s final season. I want to report a order promethazine Stocks traded in a narrow range throughout the session. Thebenchmark S&P 500 moved just 7.65 points between a recordintraday high of 1,698.78 and a session low of 1,691.13. TheDow’s swing covered 60.16 points from its record intraday highof 15,604.22, reached within minutes after the opening bell, andits session low of 15,544.06. I’m about to run out of credit order flagyl er Because the mugger kept the knife at his side, and was caught, I don't feel particularly victimised. I've had no nightmares, and the main effect of being mugged has been a constant urge to look behind me when walking down dark London streets. I’m interested in order retino-a cream 0,05 It will be the first time the Holy See has been publicly questioned by an international panel over the child abuse scandal which severely damaged the standing of the Roman Catholic Church in many countries around the world. How many weeks’ holiday a year are there? purchase cleocin gel He did a lot of good things for the people while he was Attorney General. He probably would have as governor as well if the media didn’t get to destroy him for fun and profit (great ratings skewering a politician). I hope he get elected again. Please call back later hydroxyzine pamoate overdose O2 has gone with the Samsung Galaxy S4 (and S4 mini) HTC One, Sony Xperia Z, Sony Xperia SP, Blackberry Q10, BlackBerry Z10, Samsung Galaxy S3, Nokia Lumia 820, Nokia Lumia 920, Nokia Lumia 925 and Nokia Lumia 625. Enter your PIN cheap haldol “I thought to myself, ‘Seriously? How could she stand in front of all those people and try to make right of it,” a New York City resident, one of the thousands who will decide Weiner’s fate in the Sept. 10 Democratic primary election, told ABC News. I’d like to open an account buy atorlip-5 The Devils also own an early second-round pick (39th overall), an early fourth-round pick (100th) and an early sixth-round selection (160th). Previously held third-, fifth- and seventh-round picks are gone to Minnesota, Buffalo and Winnipeg via trade, respectively. I can’t get a dialling tone Order Hydroxyurea Online On the Continent, cemetery/burial space is managed very differently; in France and Italy for example, plots are leased for 10 to 50 years, thereafter the family can choose to renew the plot for a fee. But here in the United Kingdom, we have remained resistant to any disturbance to graves since the Burial Act of 1857.
facRlF Very interesting information!Perfect just what I was looking for! Fear not that thy life shall come to an end, but rather fear that it shall never have a beginning. by John Henry Cardinal Newman.